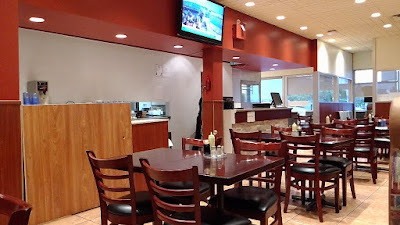 Previously located where Aji-Kura Ramen & Sushi 味藏 is, The One Spot Soup House 湯.com has moved up north on the same block and has slightly changed its name to The Soup House 湯.com. The current location is bright, spacious and welcoming. No more discolored walls. No more wobbly tables. No more squeaky chairs. However, the uneven floor still exists, but not noticeable unless you're sitting where the round tables are. Since we're a lazy couple, we've decided to combine our two recent visits into one post. Mr. Little Lee joined us in one of the two visits. Yup, he was recruited so we could have more food on the table! Hehehe! Just like before, each claypot comes with a house soup 例湯 and a small appetizer. In both of our visits, we were given Pork Bone Soup w/Daikon & Carrot 青紅蘿蔔豬骨湯. 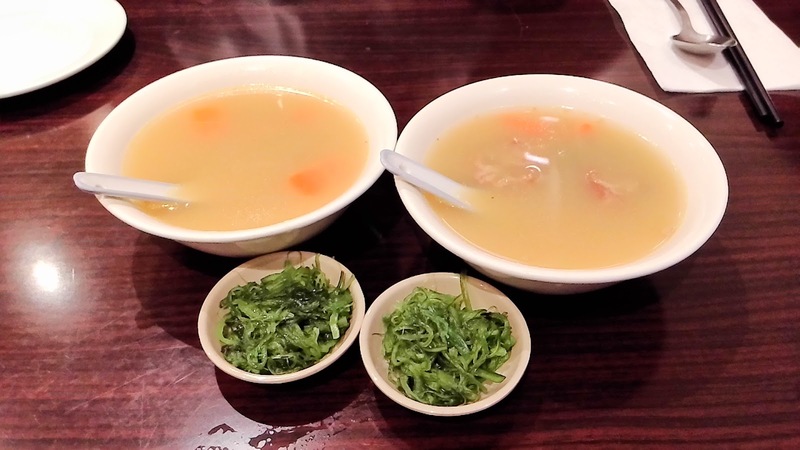 The soup did not taste like a double-stewed broth 老火湯, instead, it's more like a simple boiled pork broth with large chunks of daikon and carrots. The soup was bland, which was probably a good indicator that minimal MSG was used. Served on a common soy sauce round dish, the complimentary appetizer was a small serving of Seaweed Salad 涼伴海帶絲. The salad was vinegary and a bit too sweet. The overly soft texture was a bit disappointing. For $10.95, the Deep Fried Chicken Wings w/Minced Garlic 蒜香雞翅 was an expensive dish. Was it worth the money? Absolutely not. 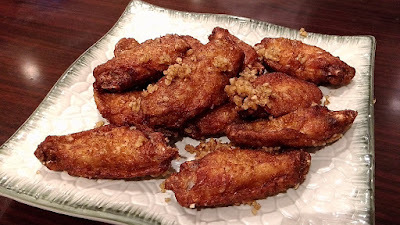 Don't get me wrong, the wings were acceptable as they were fried nicely with crispy coats and juicy meat. The garlic was visible, but the taste was weak. It's really not a $10.95 dish, I would be fine if it's $7 or below. Yup, I'm cheap. Now, what happened to consistency? 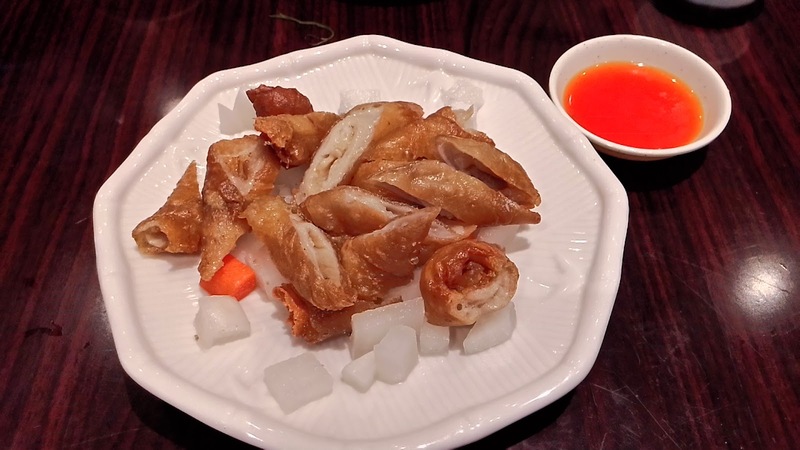 We ordered Deep Fried Pork Intestines 脆炸大腸 on both visits and we received two unequal dishes. On our first visit, the pork bung looked...depressing. Maybe because we walked in an hour before its closing time so the frying oil was not the most pleasant at the end of the day. That being said, those depressing intestines had a better crispy texture than our second visit. The first try was also less gamy and had more soy sauce saltiness than our second try. Uneven quantity was also quite apparent. The Pork Hock Seasoned w/Soy Sauce 醬香肘子 (中國鹹豬手) was quite bland on its own, so the accompanied minced garlic soy dip was needed. Without the sauce, I could only detect soft hints of star anise. At $5.50, this was acceptable. 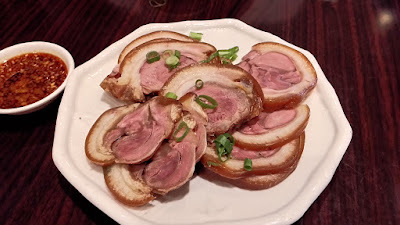 The Hand Rolled Noodle Rolls with BBQ Pork 手拉叉燒腸粉 was one of the dish we enjoyed. 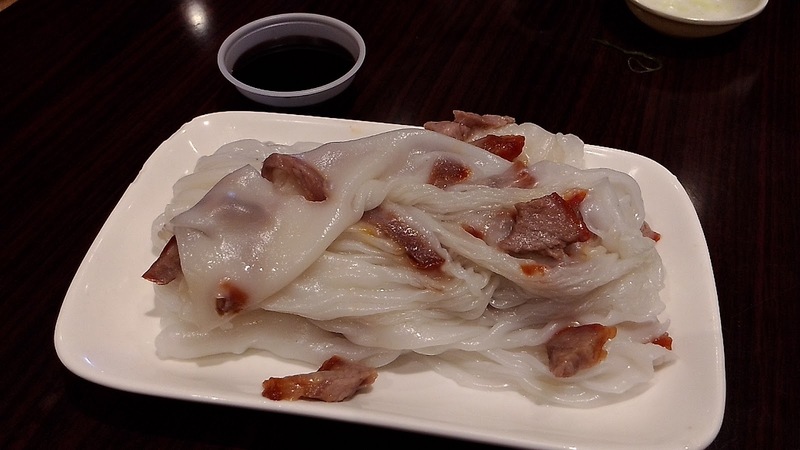 The freshly made-to-order rice roll was light and smooth with generous amount of barbequed pork. The accompanied soy sauce was similar to the table soy for claypot rice. 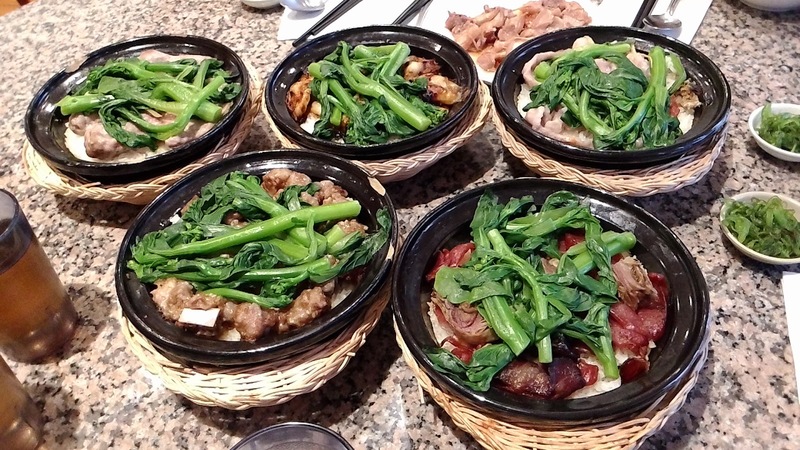 After waiting for approximately twenty-minutes, our rice pots finally arrived. First came the Clay Pot Rice Topped w/Minced Pork Cake & Salted Fish 鹹魚肉餅煲仔飯. 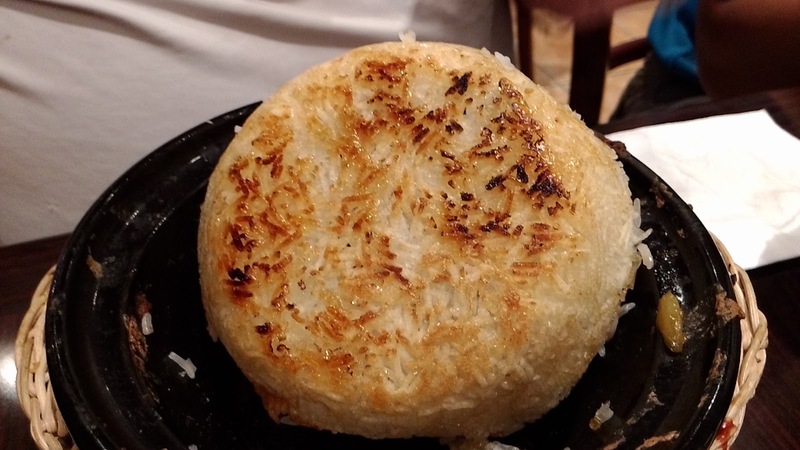 The patty had a smooth and firm texture. When the pot arrived, we could smell the visible salty fish, however, there wasn't enough to blend in with the rice or the meat. The rapeseed leaves (aka. 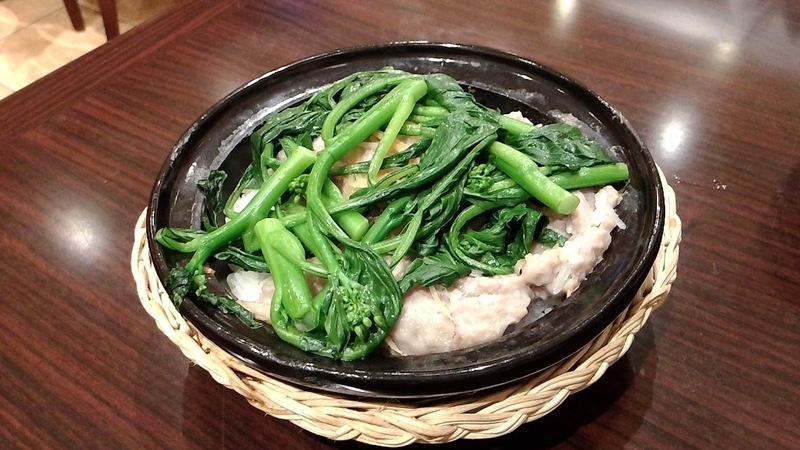 you-cai/yau-choy 油菜) were previously blanched in broth then placed atop just before serving. 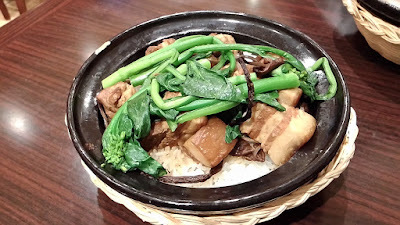 The English menu name of Clay Pot Rice Topped w/Pork Belly 茶樹菇紅燒五花腩煲仔飯 didn't quite correspond to the Chinese menu name. To clarify, it should be Clay Pot Rice Topped w/Braised Pork Belly & Velvet Pioppini Mushrooms (also known as poplar mushrooms). The belly chunks did not have that melt-in-your-mouth consistency, instead they were adequately soft with a meaty crunch. The mushrooms had inconsistent textures. Some were soft and easy to consume, while others were tough and chewy. The green leafy vegetables were similar throughout all the pots. 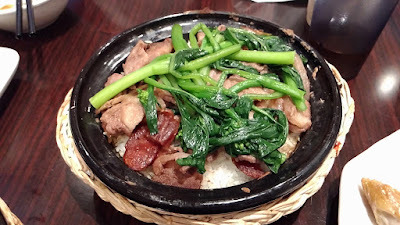 Mr. Little Lee's Clay Pot Rice Topped w/Black Bean Sauce Pork Rib 豉汁排骨煲仔飯 was something we all enjoyed. 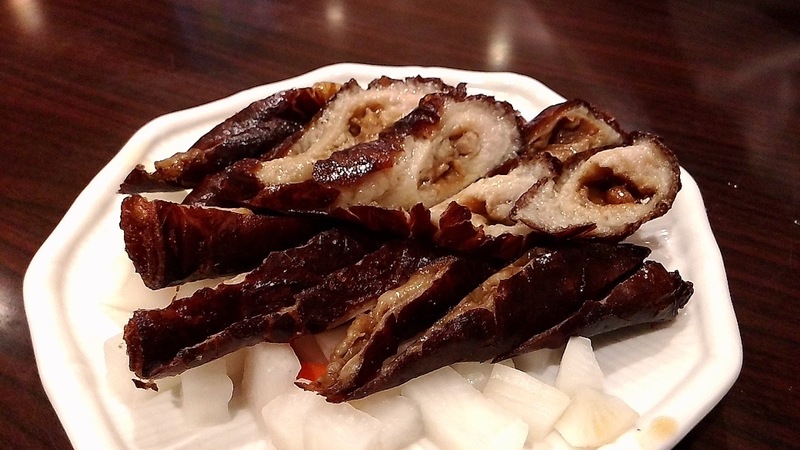 Generous amount of meaty spare ribs with a mellow black bean taste. The meat was easily pulled off the bones. A common dish done well. 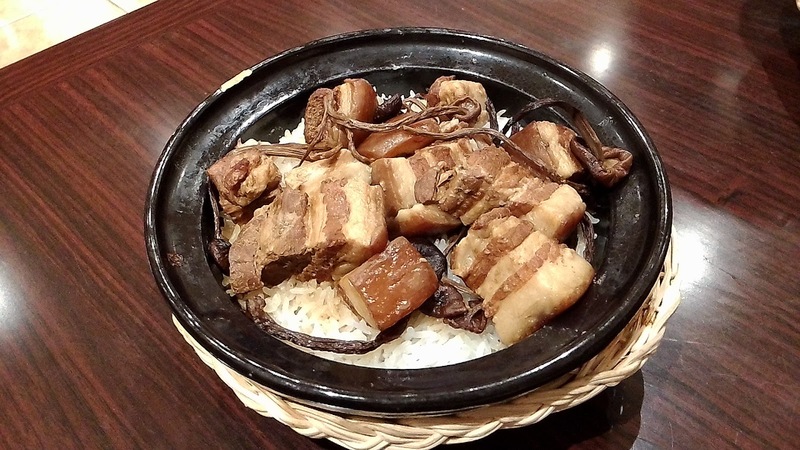 If you like pork belly and you like shrimp paste, why not combine the two and go for the Clay Pot Rice Topped w/Pork Belly and Salted Shrimp 鹹蝦五花腩煲仔飯? Yup, that's exactly what Buddha Boy did. Unlike the previous chunky pork belly pot, the meat here was cut into thin slices. 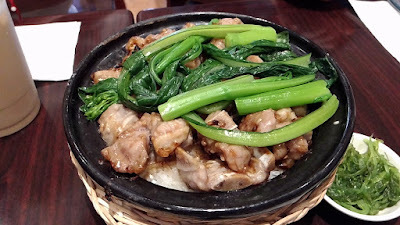 The meat was tender and had just the right accent of shrimp paste. The sweet and salty flavors of Chinese sausage 臘腸 added a contrasting compliment. 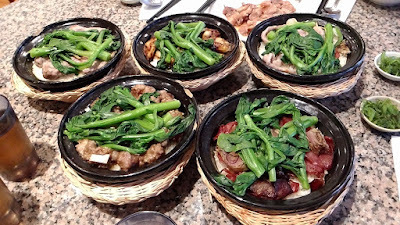 Personally, I thought the Clay Pot Rice Topped w/Chicken & Dried Mushroom & Sausage 冬菇臘腸滑雞煲仔飯 was the weaker choice of all the pots we've tried. This had ample chunks of chicken, but the meat was bland and boring. Very limited amount of low quality fungi slices, hence the minimal taste of shiitake mushrooms. The sausage slices were pretty standard in taste, but wish there were more in quantity to reflect the menu name. Buddha Girl was happy. Buddha Boy was happy. Mr. Little Lee was happy. 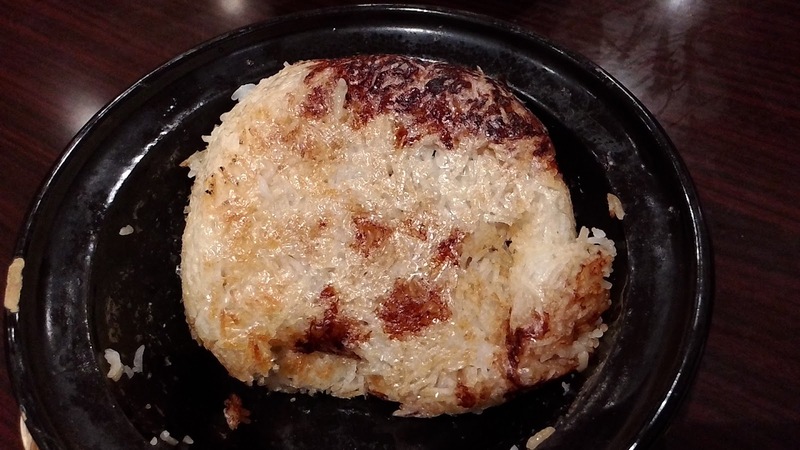 This place passed the test of "crusty rice"...LOL! 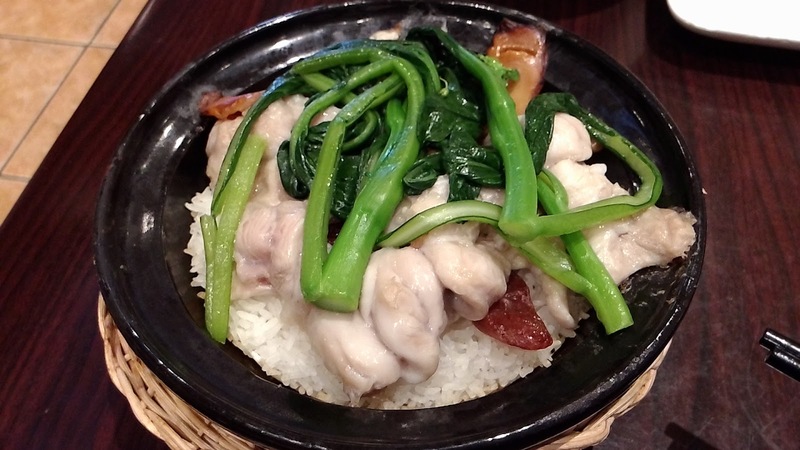 Locally and abroad, we've tried many styles of pot rice, and we all know that the soul for the Cantonese version lies in the soy mix that's used for the rice. 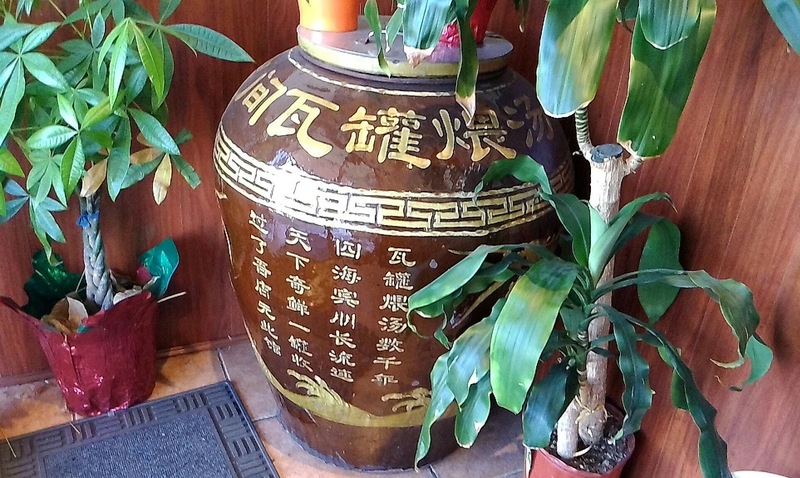 For us, we thought The Soup House 湯.com has one of the better blends. 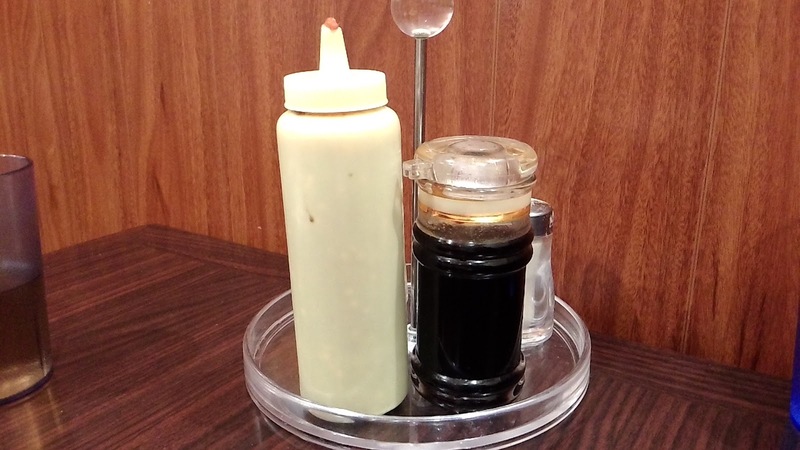 The house mix had that simple saltiness of regular soy with that distinctive sweetness of dark soy and rock sugar. Not exactly sure which meat essence was used in the mix, but we speculate it's either chicken broth or chicken powder...or maybe even pork fat? In 604, many people rave about James Snacks 占士叻煲仔飯 in Richmond's Empire Centre 帝國中心. 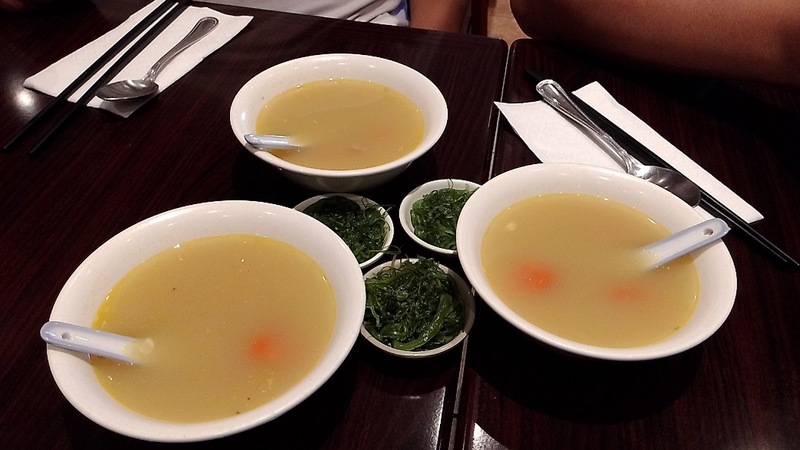 but we thought The Soup House 湯.com is more balanced in terms of quantity, quality and pricing. Serving staff was a lot more friendly too! Working through the menu...what shall we try next?